Maxwell is a growing little boy and often needs new clothes due to his growth spurts. 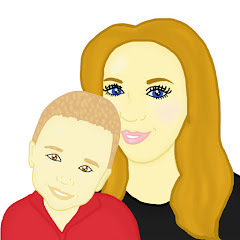 Recently I searched the House of Fraser website for new clothes for Maxwell. When looking for new clothes for Maxwell I focused on items which would be perfect for his upcoming summer wardrobe but items which would be perfect for Maxwell to wear when playing outside. I always enjoy putting Maxwell in trendy clothes, he can often be seen sporting jeans or shorts, a nice cool hooded top and a funky tshirt. House Of Fraser offer a wide range of kids clothing. 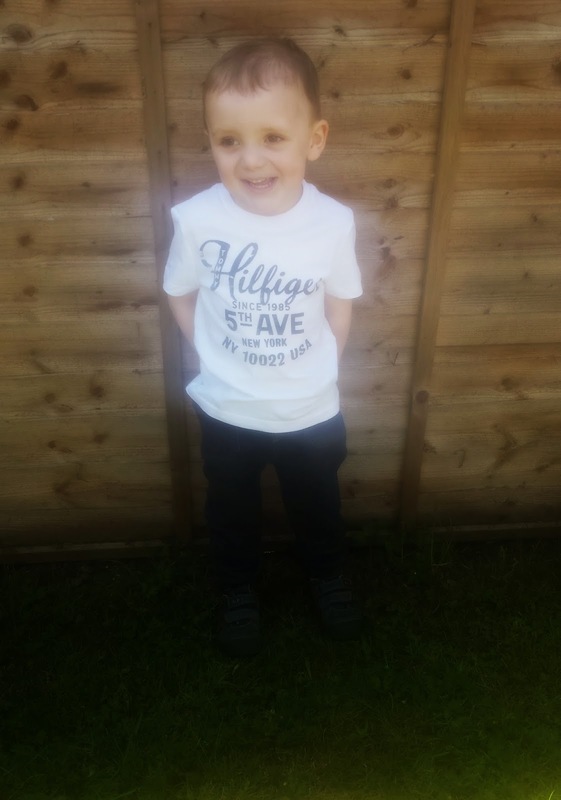 There are many categories which feature lots of items from different brands.After having a look around House of Fraser's website, I decided that I would go ahead and purchase Maxwell a Tommy Hilfiger T shirt. I decided on the T shirt because it was plain and I figured that it would go well with many of Maxwell's trousers that he already owns. I also thought that the T shirt could either be dressed up or down depending on the occasion. 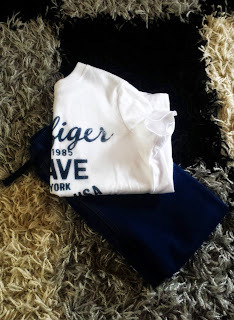 Having previously purchased a Tommy Hilfiger T Shirt from House Of Fraser for Maxwell, I have found that the T shirts are good quality and are great value for money. After having a browse around on House of Fraser's website at the kids shorts and trousers, I decided to pick Maxwell a pair of thin Joules Jean trousers. I thought these would be perfect as they were thin and they were the skinny type of trousers which Maxwell likes to wear. In the summer having a long pair of thing jeans would be perfect as the would keep Maxwell cool whilst he looked trendy and they would protect his legs from any cuts if he was to fall over whilst out and about. Maxwell's outfit is comfy for him to play in and cost under £30 which I think is fantastic considering I managed to purchase him two branded items. The House Of Fraser website was easy to navigate and the delivery process of the items was fast and efficient. Why not take a look at House Of Fraser's website and create a wishlist for your child's summer wardrobe?